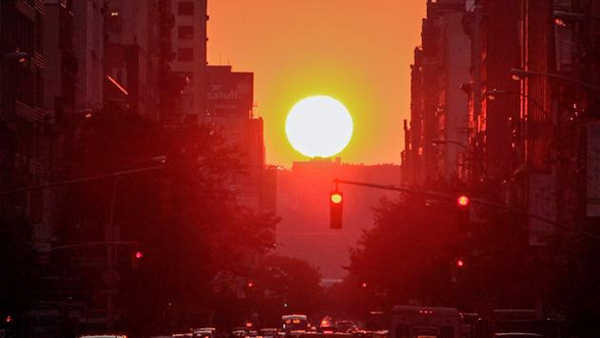 NEW YORK (WABC) -- For the second time this year, "Manhattanhenge" made its appearance Monday night, providing a photo opportunity of a solar phenomenon. Every street that runs west to east was cast in a warm glow as sunlight faded into night. There were plenty of vantage points. The best spots for viewing it were 14th, 23rd, 34th and 42nd streets. Check out these amazing photos from Monday night's Manhattanhenge! Check out this Facebook Live during Manhattanhenge!